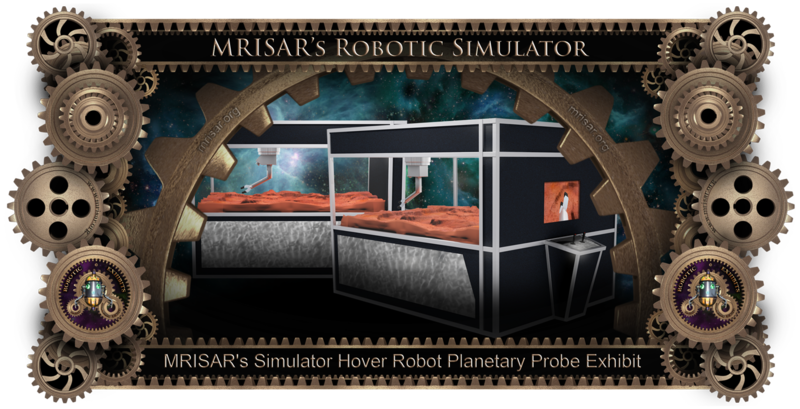 The Robotic Space Simulator, Teleoperated Rail Planetary Probe is a new design which combines a number of exciting interactive elements with the science of robotics and space exploration. 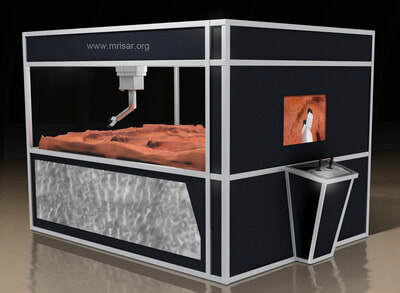 The exhibit affords the museum visitor the opportunity of controlling a simulated teleoperated robotic probe robot to survey an area of terrain and take samples and readings for analysis. This exhibit relates to STEM education. 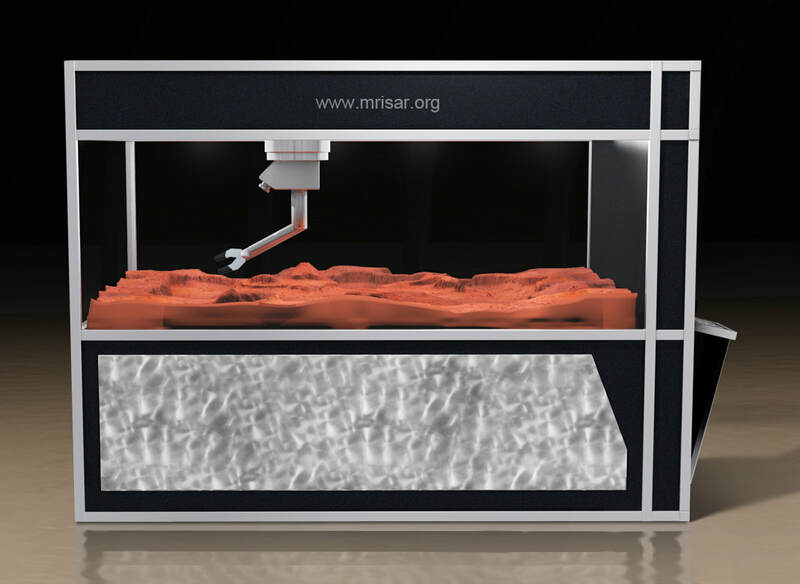 The probe robot is based on current technology and forecasts possible upcoming applications. The probe robot is configured as part of the undercarriage of a spacecraft of the future. The premise is that the operator in the space craft seeks information about the alien landscape prior to physically entering the environment. The Probe robot operates in an seven foot by seven foot area on a guide rail system that allows full reach and panning within the entire area in all x and y coordinates. The robot arm provides fine movement within each section of each area and the z coordinate to retrieve objects. The color camera for the exhibit is mounted directly to the arm so the view the user gets is exactly true to the robots view of the terrain. The camera is also angled so the view beyond the terrain area is not visible. When the task is timed out or completed by the visitor the exhibit displays relative success of the mission and resets the items found to the terrain floor plain area. The exhibit is also viewable by other visitors from three of its four sides through clear Poly-carbonate windows. ​The exhibit is configured with a full color camera, monitor and Happ controls mounted in a sturdy brushed aluminum panel. The exhibit case is made with your choice of laminate and brushed aluminum accents. The probe robot is built with sturdy 6061 aluminum, UHMW and steel rails. The overall size is 80" high x 10' long x 65" wide. It also comes with voice feedback as a standard with no extra charge, allowing the exhibit to prompt the user as to the status of their progress in trying to find as many of the eight items as possible.